Moeller-Wedel offers the largest range of visual and electronic autocollimators, providing an accuracy of up to 0.01 arc seconds, for measuring straightness, flatness, and positioning accuracy of index tables in the machine tool industry. 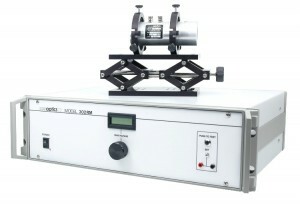 To see Thorlabs' range of optics and optical components, please click below. ZEMAX is the software that optical engineers and designers around the world choose for lens design, illumination, laser beam propagation, stray light, freeform optical design and many other applications. Zemax leads the industry in technical power, ease of use and proven accuracy. Whatever kind of optical system design problem you have, Zemax can help. Contact Lastek for all your questions on Zemax software and optical design.